Here’s The Most Essential & Ground-Breaking Yoga Accessory That Will Skyrocket Your Yoga Performance! Are you looking for a great yoga prop that can improve your balance, posture and precision? Do you want a convenient, non-slip and comfortable yoga accessory for your demanding yoga sessions? Presenting The Premium Yoga Dharma Wheel Prop For Maximum Balance & Flexibility By Pete’s Choice! Now you can improve your balance, precision and perform even the most demanding yoga poses with our durable, safe and reliable yoga dharma wheel. 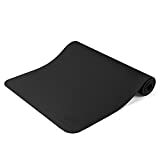 The sweat-resistant and non-slip surface will offer your hands, palms, feet and back a sense of comfort and stability, while the durable and sturdy design will provide you with the necessary support. Designed To Last & Make Your Life Easier! The Pete’s Choice lightweight and convenient yoga dharma wheel prop is made of 100% superior-quality PC (Polycarbonate) material which features high impact-resistance and extreme temperature-resistance. As a result, you can rest assured that your exclusive yoga accessory is not only comfortable, but also very durable and strong! 1 FREE high quality yoga strap to help you elevate your yoga sessions! 1 BONUS eBook with 16 yoga wheel exercises for both beginners and experienced yogis! Enhance Yoga Postures & Massage Your Spine With The Most Lightweight & Amazing Yoga Prop! It may seem like a simple wheel, but it will offer you a truly unparalleled yoga experience! Massage your spine, boost your backbends, increase your flexibility and achieve deeper, soothing stretching with our exclusive yoga dharma wheel prop! Why Hesitate? Indulge Yourself! Click “Add To Cart” Now & Embark On A Unique Yoga Adventure! DISCOVER THE YOGA PROP THAT WILL CHANGE YOUR LIFE: At first sight, it seems like an ordinary wheel. 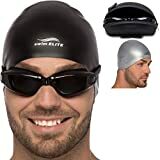 But once you try it, you will be blown away! 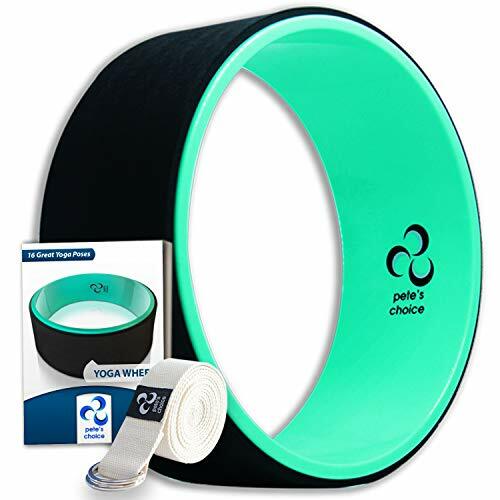 The premium Yoga Wheel prop by Pete’s Choice is going to become absolutely essential for your yoga sessions! SUPERIOR QUALITY MATERIALS & CONSTRUCTION: Unlike other flimsier yoga wheels, the Pete’s Choice yoga dharma wheel is made of 100% high-quality, durable ABS material (acrylonitrile butadiene styrene), making it extremely sturdy, safe and comfortable. EXCLUSIVE FREE BONUS GIFTS, JUST FOR YOU: We always go above and beyond to ensure your maximum satisfaction. That’s why we proudly include a FREE eBook (sent to you by email) with 16 soothing and rejuvenating yoga wheel poses and a BONUS high quality yoga strap that will help you increase your flexibility and sustain even the most demanding yoga poses! EMBARK ON YOUR YOGA ADVENTURE WITH A LIFETIME WARRANTY: Our comfy and ultra-durable yoga dharma wheel prop is covered by our exclusive LIFETIME warranty! In the improbable case that you are not simply flabbergasted with our yoga accessory, all you have to do is inform us and you will receive your money back!